What to Know About Demucking | Abbotts' Construction Services, Inc.
Do you want to build a new home or other structure on your property? If so, you or your builder could be in for a surprise when excavation begins. Florida’s coastal land is rich in organic matter and soil types that present challenges for a clean, quick excavation. Look at what you need to know about demucking and how it may become a necessary step toward building your dream home. Muck can be a very shallow layer or several feet deep. The removal of muck is called demucking, which is a form of soil improvement prior to a construction project. A variety of machines and equipment help with the demucking process, depending on the amount and depth of muck in the ground. Front-end loaders, backhoes, dredgers, and draglines all play a part in a successful demucking project. Demucking removes materials that are an unsuitable base for a construction project like a road, building, or your new home. If you attempt to build any foundation on an unstable layer of muck, the project will ultimately fail. Settling and other problems occur. Look at how different types of muck affect a good foundation. Clay is very efficient at storing a large amount of water and expands in wet conditions. However, clay shrinks as it dries. A foundation built on clay will experience significant alternating bouts of upheaval and sinking throughout Florida’s wet and dry seasons. Eventually, that foundation will crack. High levels of decaying organic content make peat and moss retain water and swell in size. Whether wet or dry, organic layers are very unstable and force a foundation to shift or tip. Worse, unlike clay, peat is a fire hazard if it is exposed to the air and dries. Susceptibility to fire makes organic materials undesirable and dangerous in proximity to foundations and other structures. 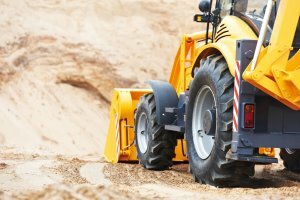 Once muck is properly removed, contractors replenish the soil with more suitable materials. A good base for a building foundation consists of compacted fill materials. Sand and gravel are a good combination because the varying particle sizes do not retain water. Instead, water drains away so the fill remains consistent and does not disturb any nearby foundations. How Do You Know Your Land Contains Muck? Usually, a geotechnical engineer inspects a site for muck and soil suitability prior to excavation. They are on the lookout for several visual indicators first before proceeding to a test pit dig. For example, peat is in relatively low areas. Often, current or old cypress, black gum, pine, or bay trees grow or have grown in the area. Heavy undergrowth of low brush surrounds these trees and feed off the decaying organic material. Sometimes, signs of standing water indicate a likelihood of muck below the topsoil. An engineer may also consult topographical maps or take aerial photographs to look for vegetation patterns to help determine the possibility of muck. Fortunately, the discovery of muck only means that demucking is the next step. Once unstable materials are gone from your foundation site, the construction crew puts in new fill to provide a firm foundation necessary for your new home. We at Abbotts’ Construction Services, Inc., are committed to making your foundation, as well as your new home build, the safest it can be. Visit us for more information about demucking for your project.